If you're a regular on this blog, you may have come to realize that I have developed a passion for exotic craft beers. Thankfully, there's an awesome local establishment known as the Wine Cavern that, besides having an incredible offering of fine wines and scotch whiskey's, also boasts 1000 beers, including over 700 imported beers. Yup, you read that right; 1000 beers! (No, I haven't sampled them all ... Yet). "OUR STORY: In 1980, BC's John Mitchell and Frank Appleton pioneered North America's first modern craft brewery at Horseshoe Bay on BC's spectacular Howe Sound, beginning what has become known as the craft brewing renaissance. "In 1996, John Mitchell helped design the Howe Sound Brewery and worked as our first brewer developing our initial recipes. Known as the "grandfather of microbrewing in Canada," we are proud of his ongoing relationship with our brewery. Today we continue to brew in the craft style, using unfiltered 100% barley mash. We pride ourselves in brewing a diverse selection of flavourful, well-balanced ales. We invite you to enjoy the experience. "THIS BEER: A strong, thick, black imperial stout brewed with six varieties of roasted malt, wheat, blackstrap molasses, five varieties of hops, yeast and Coast Range water. Brewed as a part of the John Mitchell Series, and in recognition of the women and men who constructed the Sea-to-Sea Highway, from Horseshoe Bay through Squamish, Whistler and Pemberton. Thank You!" 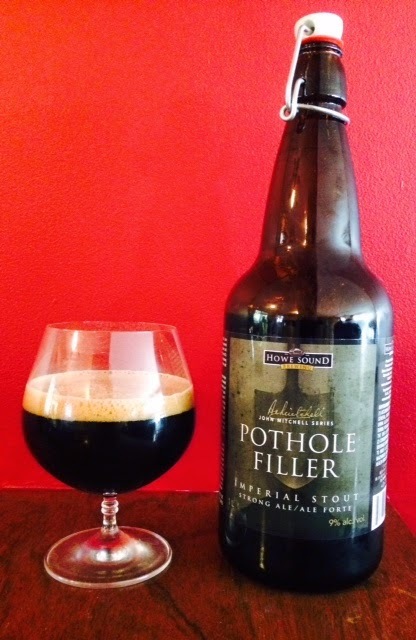 After my first couple sips of Pothole Filler, I wasn't really sure what to think. At 9% alc/vol, it was clearly a stronger tasting stout ale than I've been accustomed to, though I've enjoyed strong beers before. 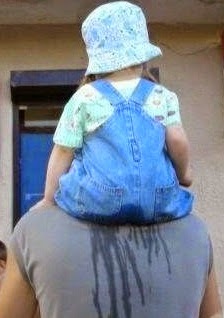 Perhaps it was the molasses that one could clearly distinguish, and yet I didn't find it overbearing. If you enjoy a Guinness-styled stout beer, you'll probably enjoy this one. And seeing as how it comes in a 1-Litre bottle (a little over 1-quart for my American friends), there's plenty in the bottle to give your palate a good opportunity to appreciate it. But what's a great beer without a great sandwich? I paired my tasting of Pothole Filler with a couple homemade Will-styled grilled cheese sandwiches. To create this masterpiece, pre-sautee some chopped mushrooms and set aside. 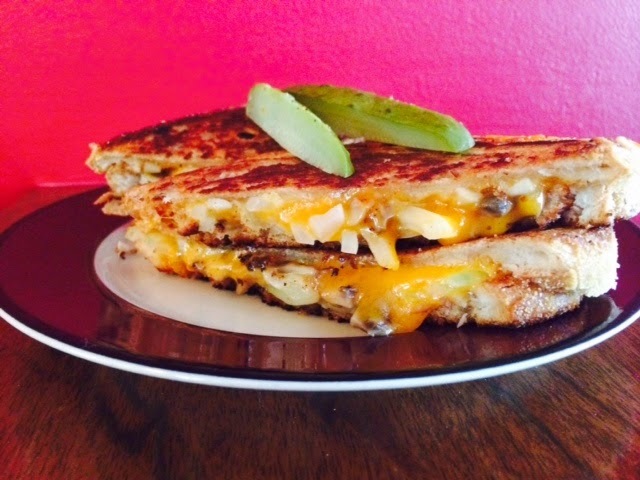 The sandwich is built upon natural Canadian rye bread with generous slices of Armstrong Old Cheddar, slices of raw onion, and the previously cooked mushrooms. Garnish with a couple slices of garlic dill pickles. Heavenly! Well there you have it, fellow beer snobs. Happy Pothole filling (LOL), and Happy Saturday.